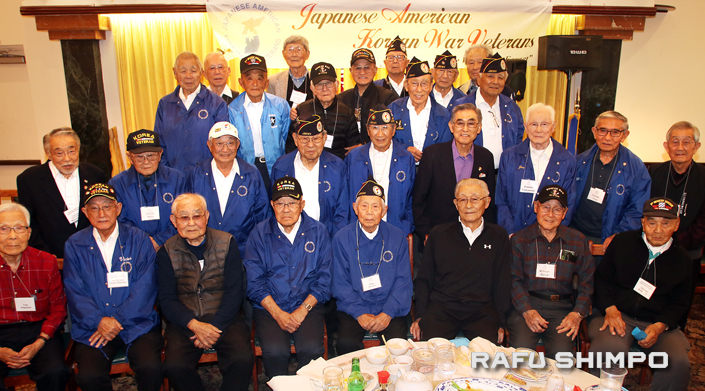 Japanese American Korean War Veterans gather for a group portrait at their 24th annual New Year celebration and officer installation on Jan. 19 in at the Sea Empress Restaurant in Gardena. GARDENA — First Sgt. Steve Mick surveyed the gathering of the Japanese American Korean War Veterans’ annual New Year’s celebration. On Memorial Day, Sgt. Mick brings young cadets from the Junior ROTC program at Redondo Union High to present colors at the JACCC in Little Tokyo. Founding JAKWV President Bob Wada addresses the gathering. “At that first meeting, we filled every officer and committee position. I knew then that this would succeed,” founding president Bob Wada said. 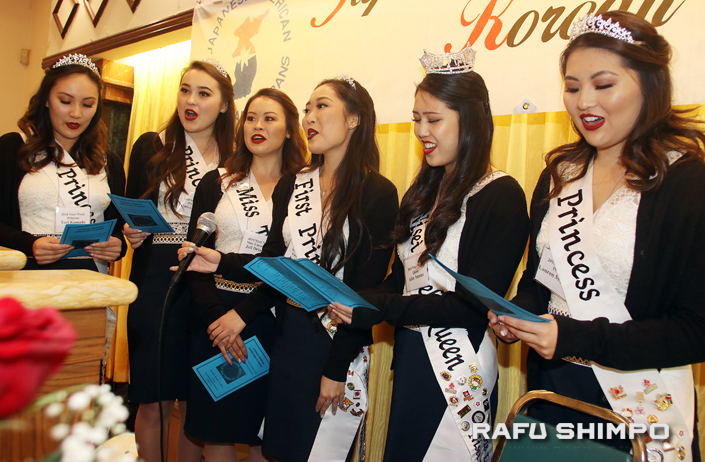 JAKWV raised more than $200,000 to honor Japanese Americans killed in action with a memorial at the Japanese American Cultural and Community Center in Little Tokyo. In 2001, JAKWV dedicated a memorial to Nikkei soldiers at Imjin-Gak Memorial Park in South Korea. The veterans also march in the Nisei Week Parade every summer and host a hospitality suite in the JACCC. South Korean Consul General Wan-Joon Kim attended the luncheon and expressed gratitude to the veterans. Deputy Consul General Hiroki Matsuo also offered his thanks, saying that the veterans helped to establish peace in Asia. Min Tonai served as master of ceremonies. 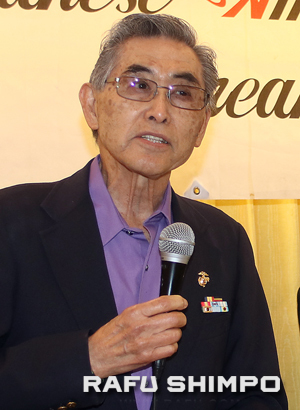 Ken Hayashi, a Vietnam War veteran, installed officers for 2019. President Sam Shimoguchi said that, while the members are getting older, JAKWV was going to continue for at least the next couple of years.